VandalStore Gift Cards are available in increments between $10 and $500, redeemable online or at any of four VandalStore locations: VandalStore Moscow (including Starbucks! ), VandalStore Boise, or The VandalExpress in the Idaho Commons. 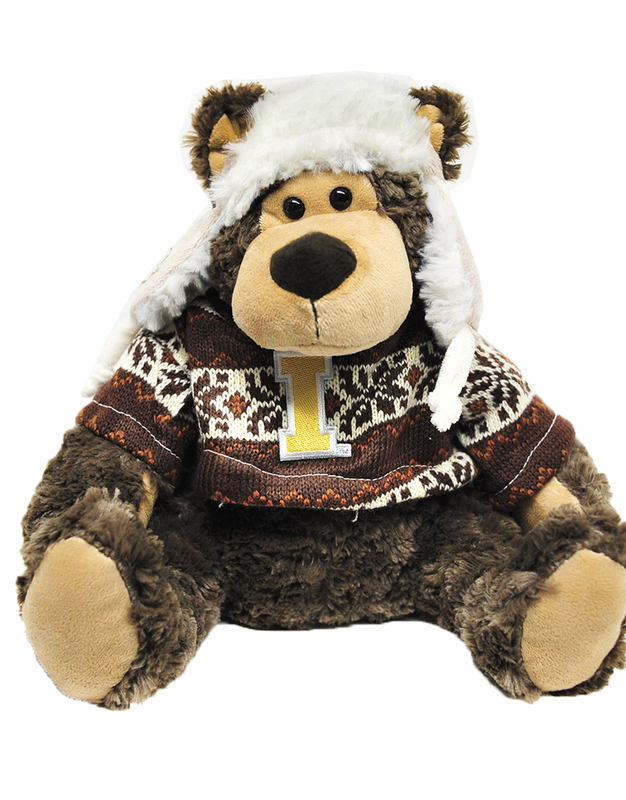 Gift Card purchases are not included in any special sale offers. 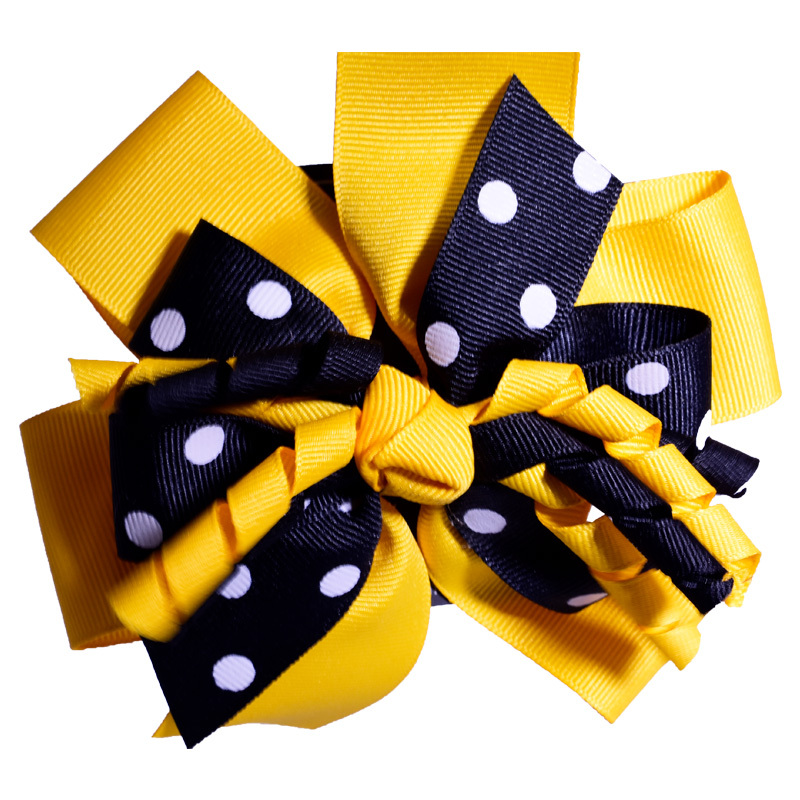 At checkout, please choose the shipping option "Gift Card Mail Only". Gift Card shipping is a flat rate of $1.00 per Gift Card and are shipped by US Mail First Class Mail. 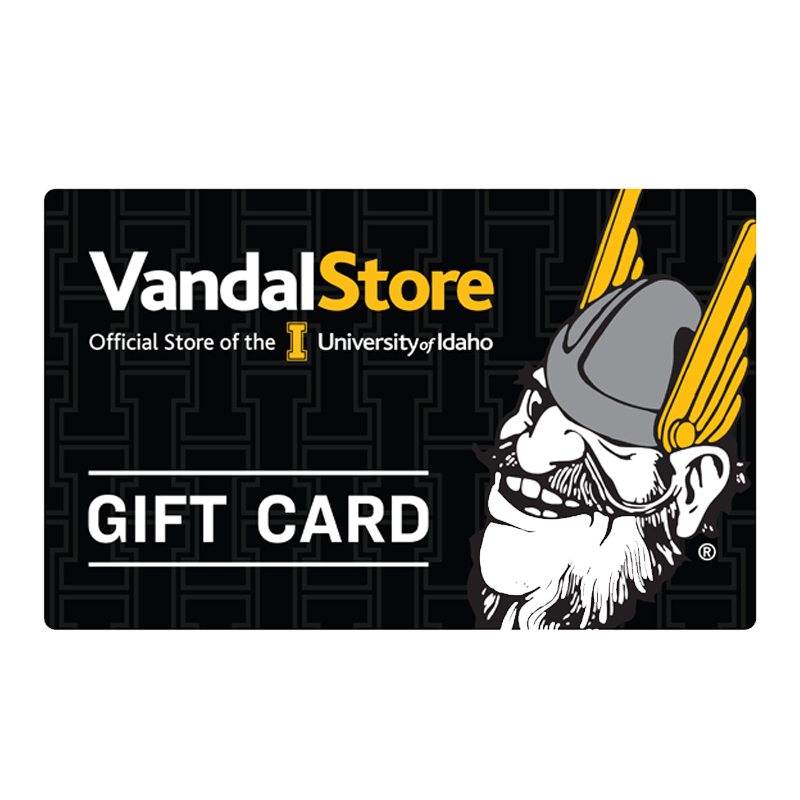 Please select option for VandalStore Gift Card. 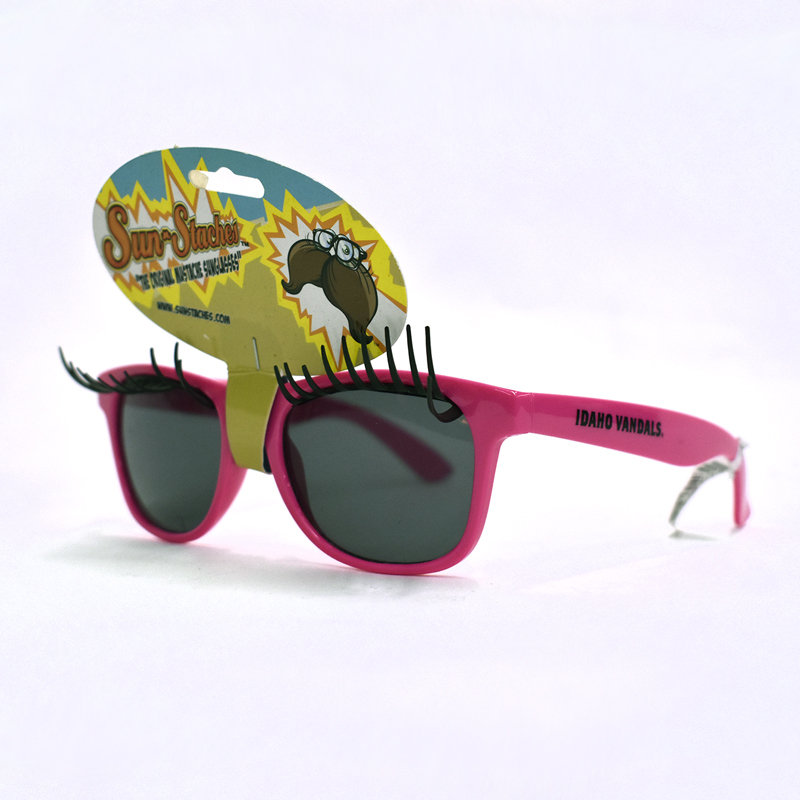 VandalStore eGift Cards are a great way to send a gift instantly. 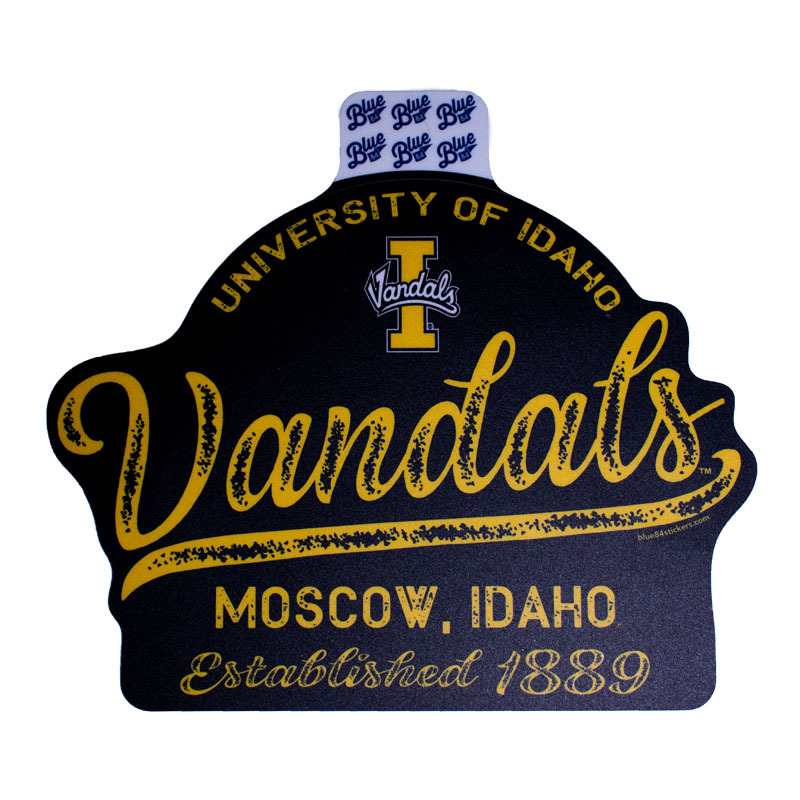 eGift cards are available in increments between $10 and $500, redeemable online or at any of three VandalStore locations: VandalStore Moscow (including our VandalStore Starbucks! ), or VandalStore Boise. 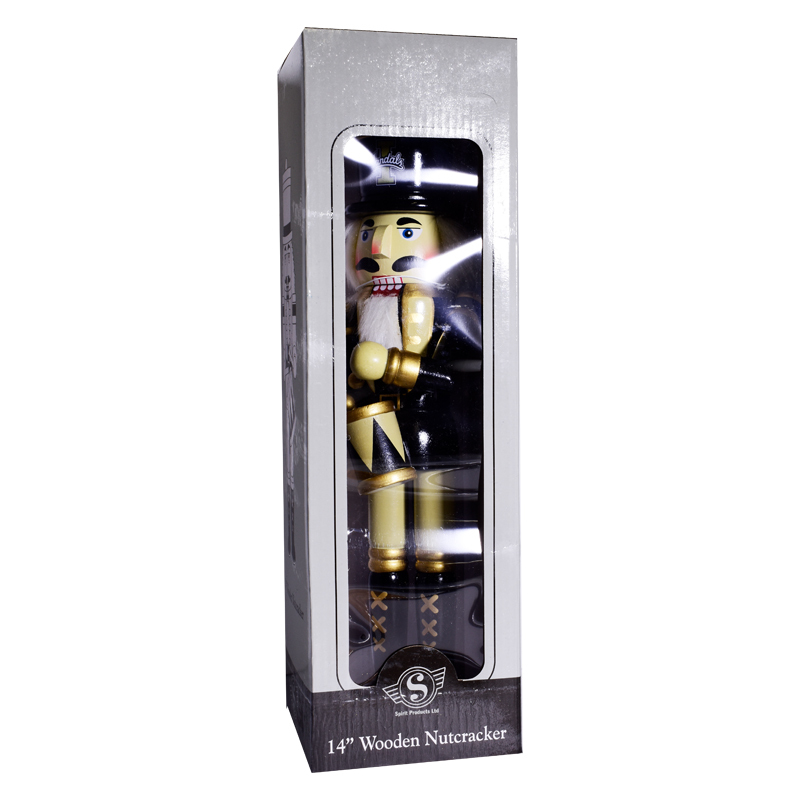 To redeem, recipient must have the card number and pin with with them. When you purchase our eGift card it will be sent to the email address of your choice and you will have the opportunity to include a personal message. Gift cards are not included in sale promotions. 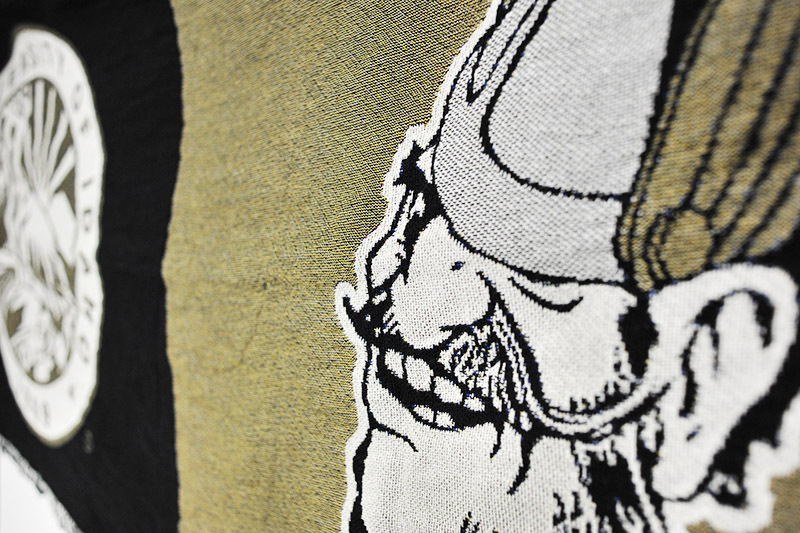 Please note: Choose any shipping method at check-out. A pesky step that cannot be avoided. You will not be charged. 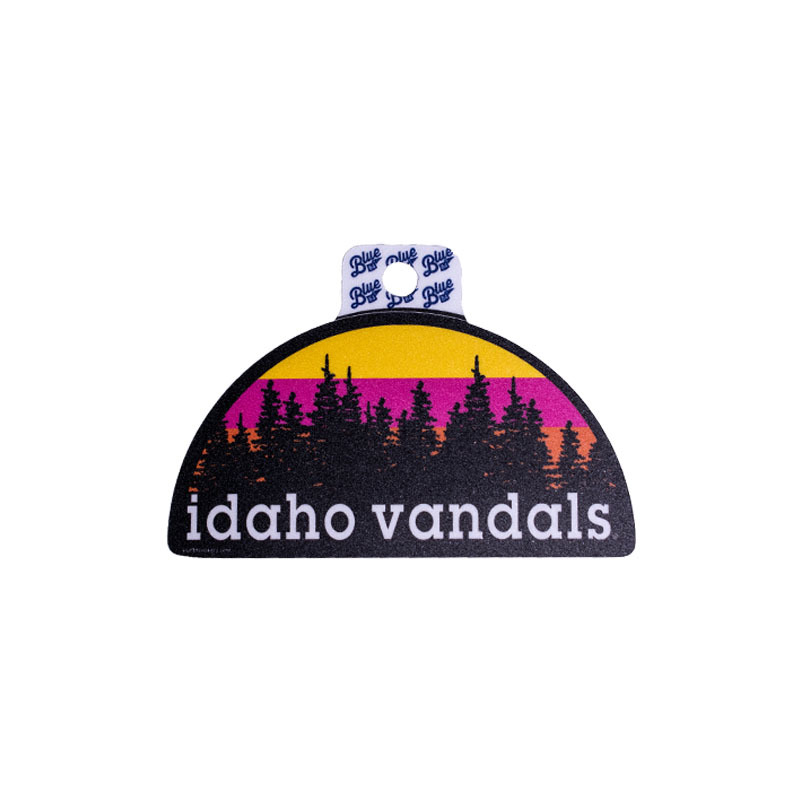 Please select option for VandalStore eGift Card. 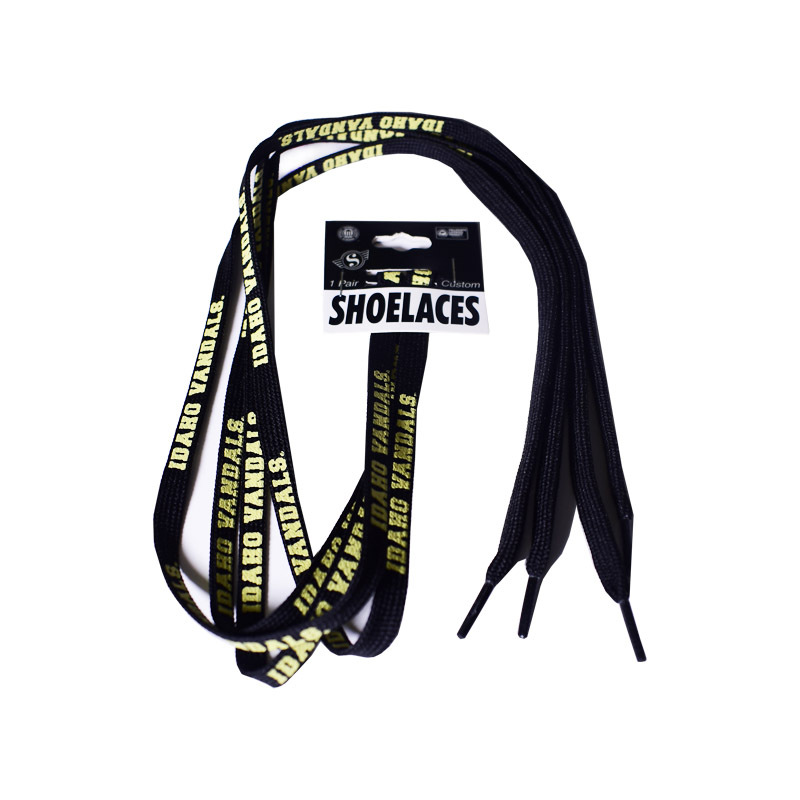 These lanyards come in seven different colors to choose from! 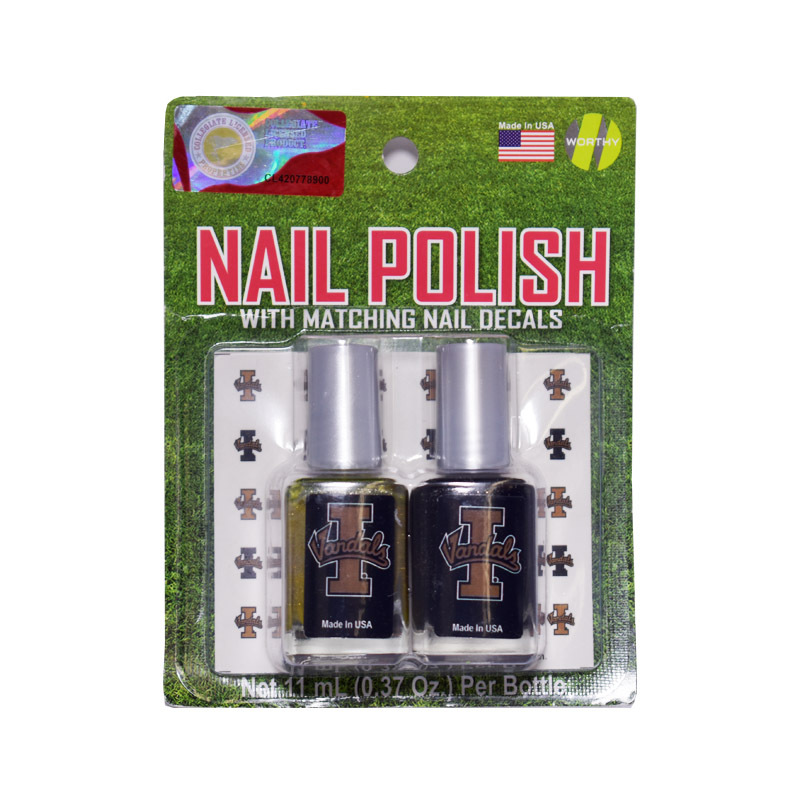 We have: blue, purple, pink, silver, gold, white with gold lettering, and black. Please specify which one(s) you'd like in your order. 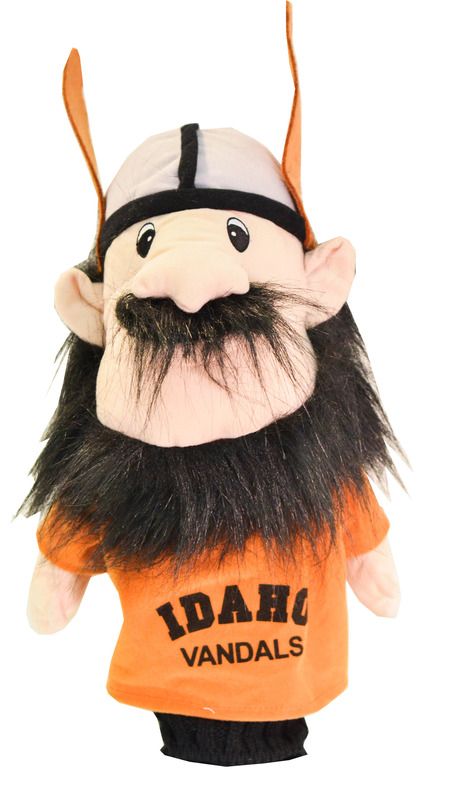 Show off your Vandal Spirit with this Joe Vandal doll golf head cover! 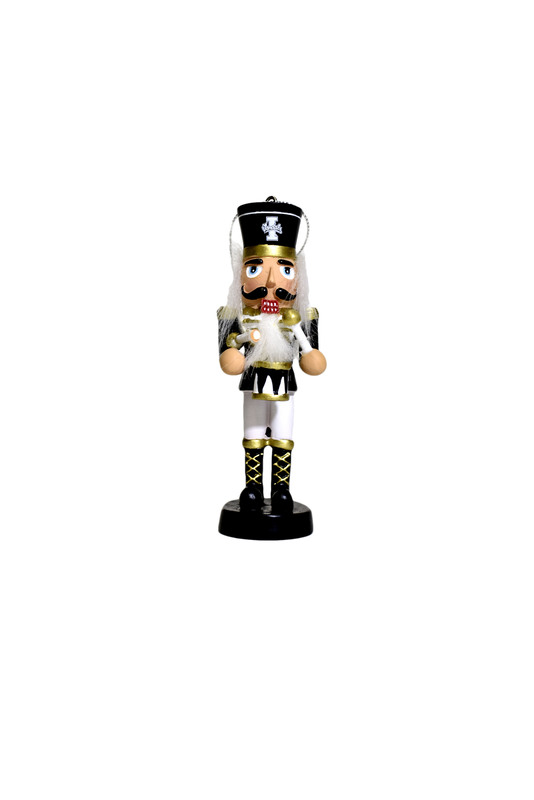 Spread Vandal Cheer with this musical card! 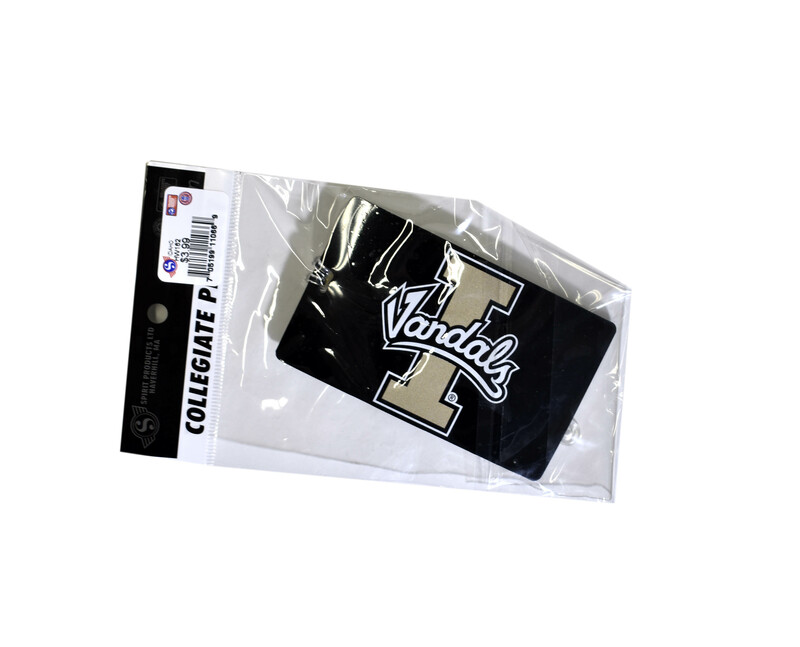 Lets Go Vandals and our Idaho Vandals logo on the front and Go Vandals printed on the inside. 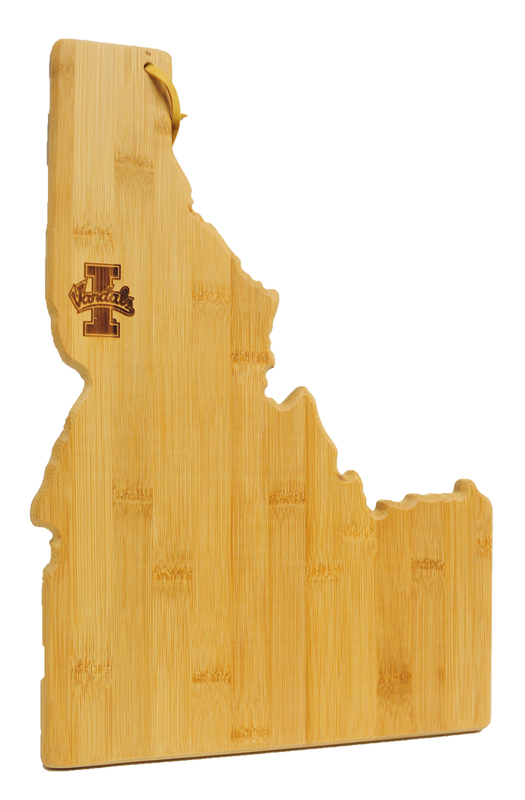 Plays our Idaho Vandals fight song when opened. 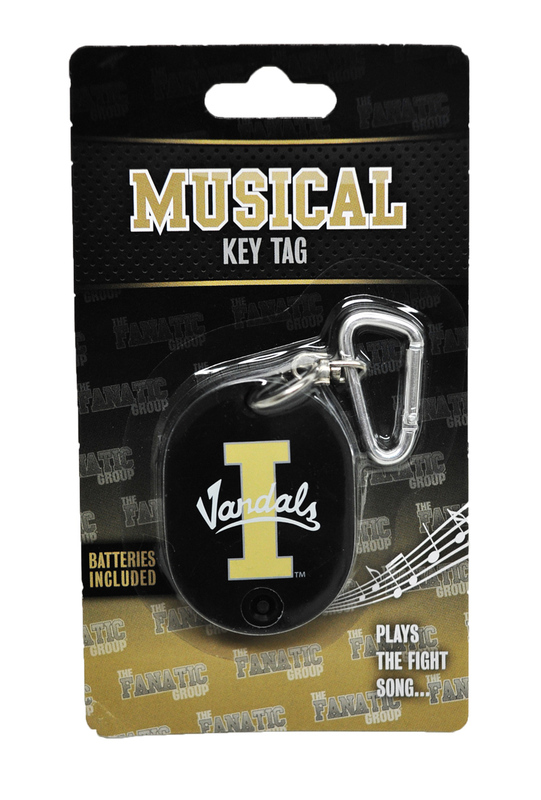 Show your Vandal Spirit with this musical key tag with printed Idaho Vandals logo! 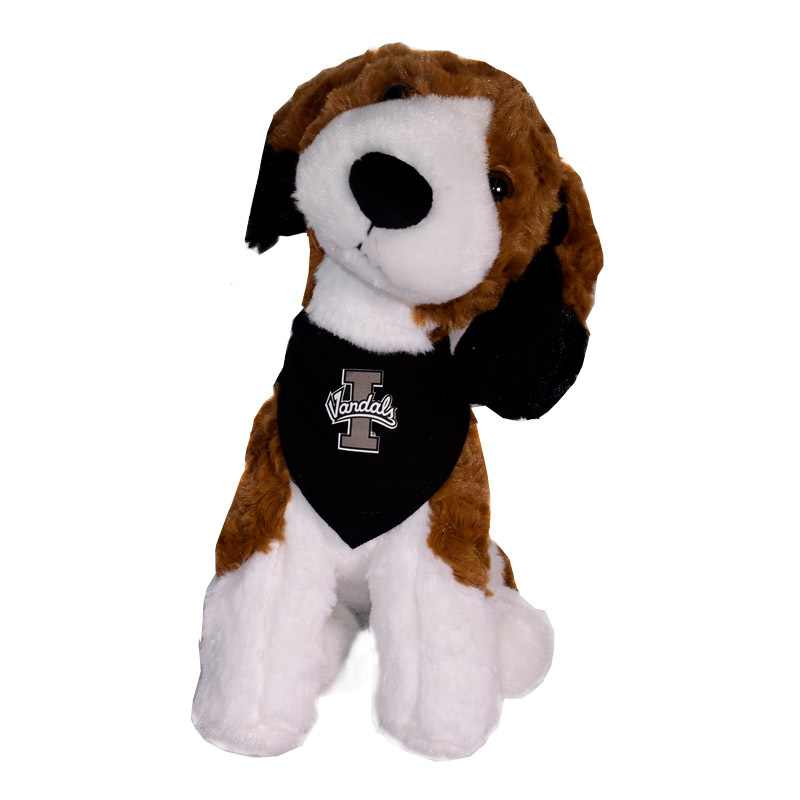 Plays the official Idaho Vandals Fight Song! 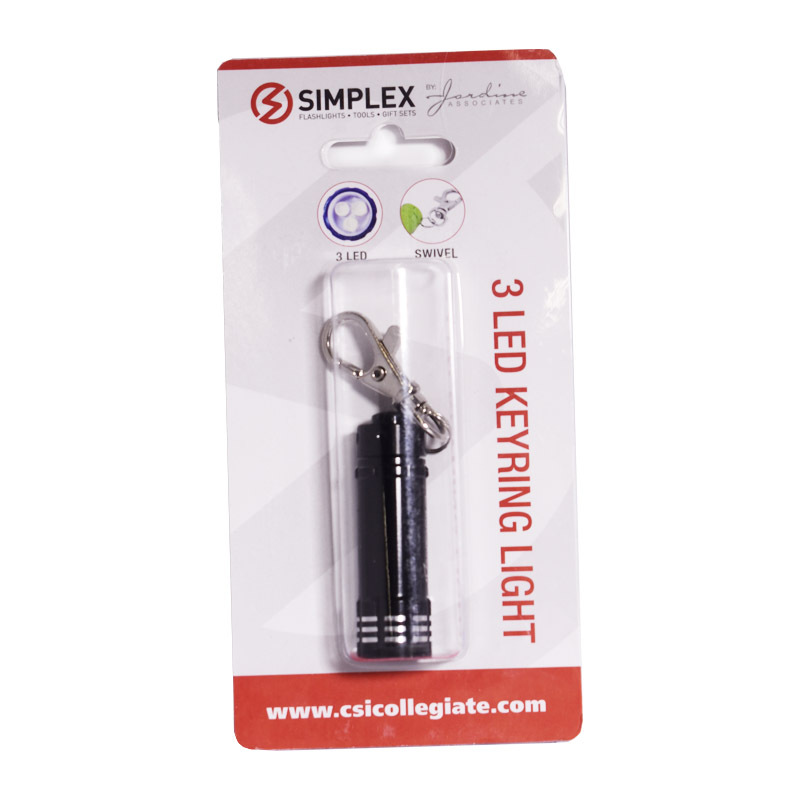 Strong metal chain and key ring and durable hard plastic. Batteries included. 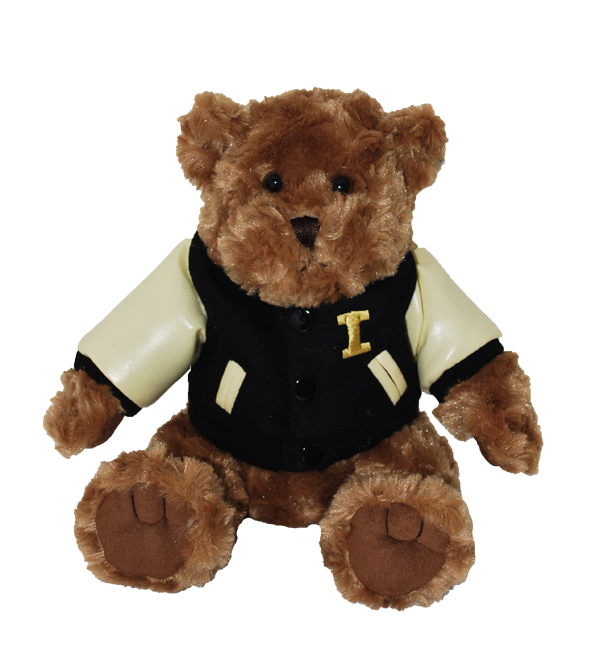 Go Vandals! 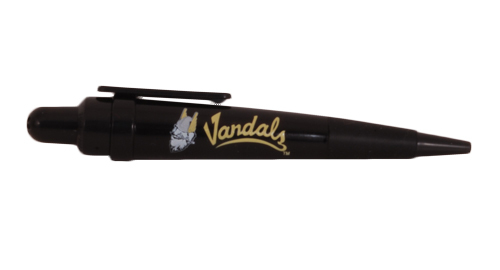 Show your Vandal Pride with this musical pen! 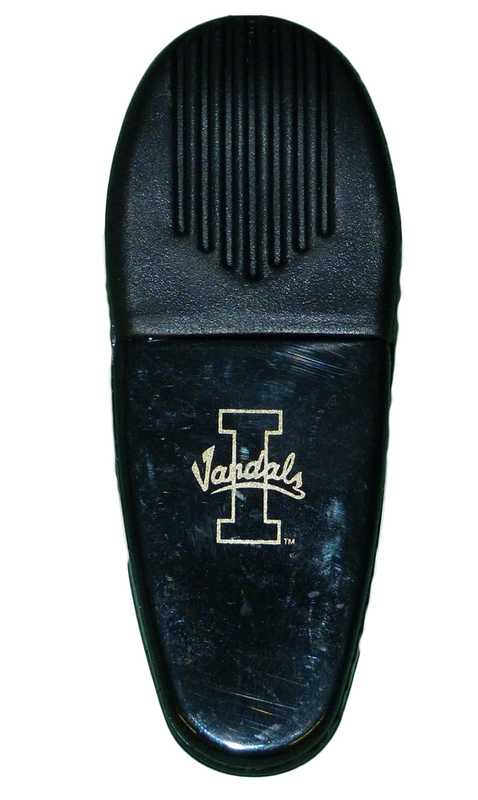 Press down on top of the pen to activate the official Idaho Vandals fight song! 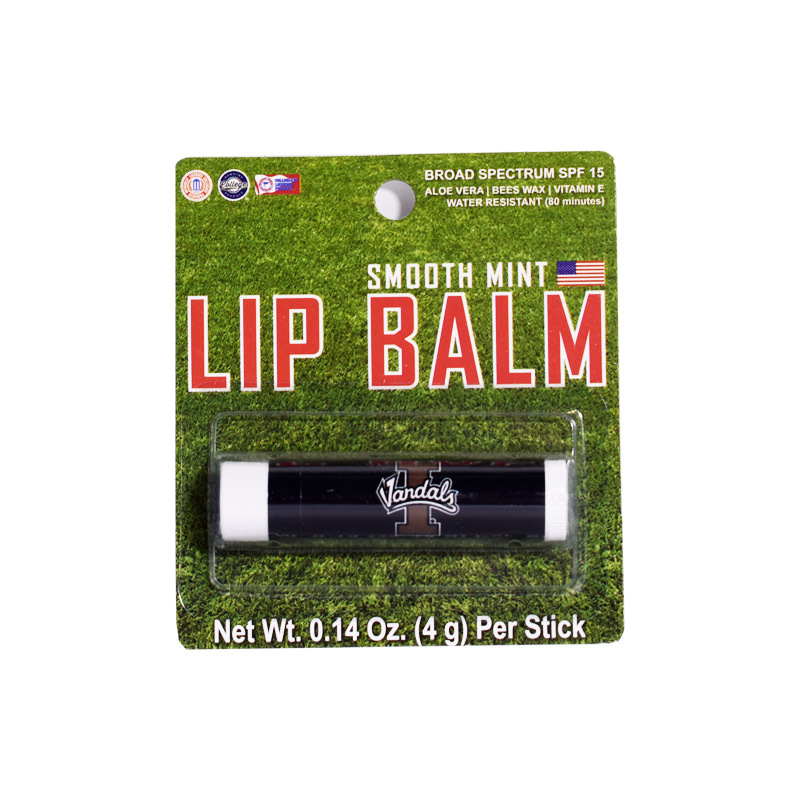 Replaceable batteries, refillable retractable ballpoint, and rubber grip. Batteries included. 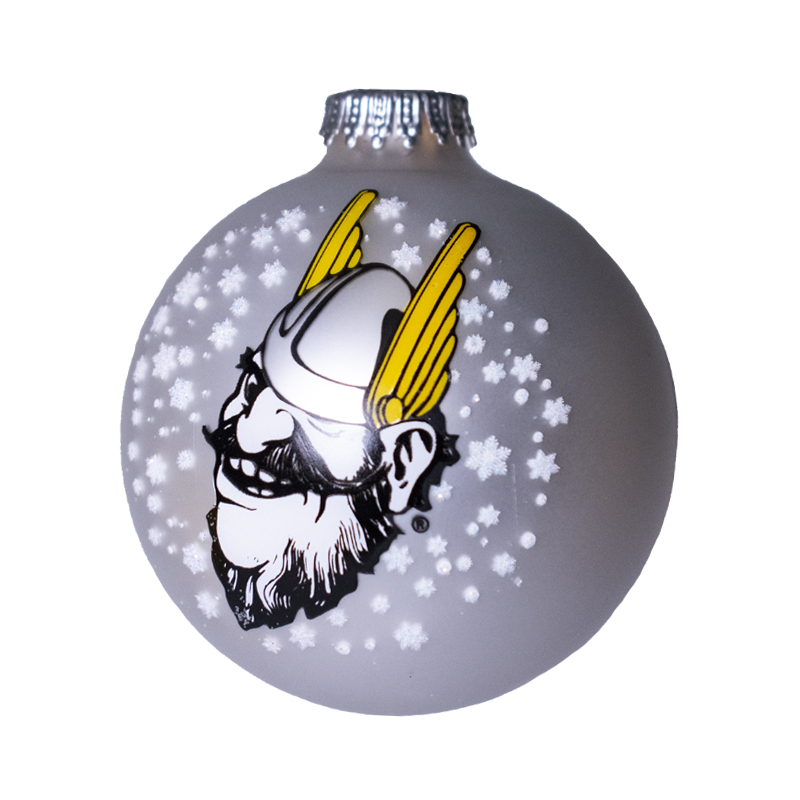 Share some Vandal Spirit! 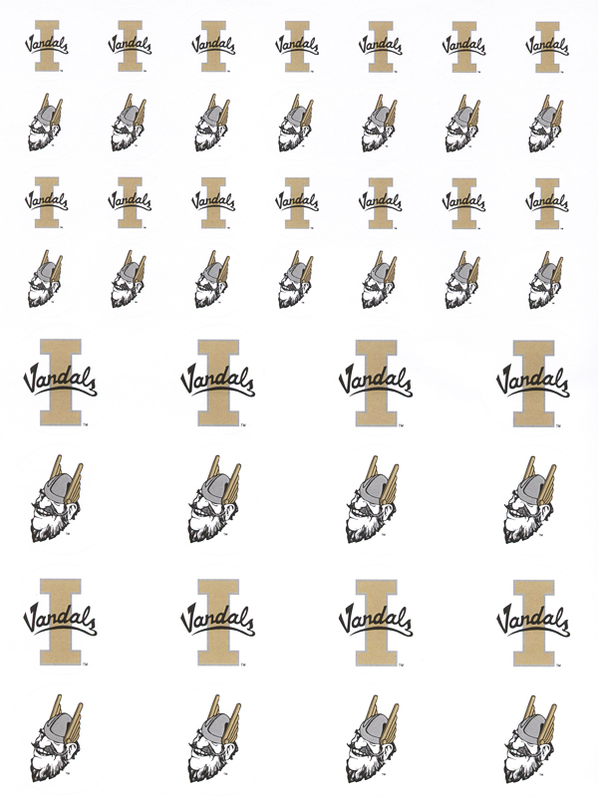 Set of 88 stickers with the Idaho Vandals logo and Joe Vandal. 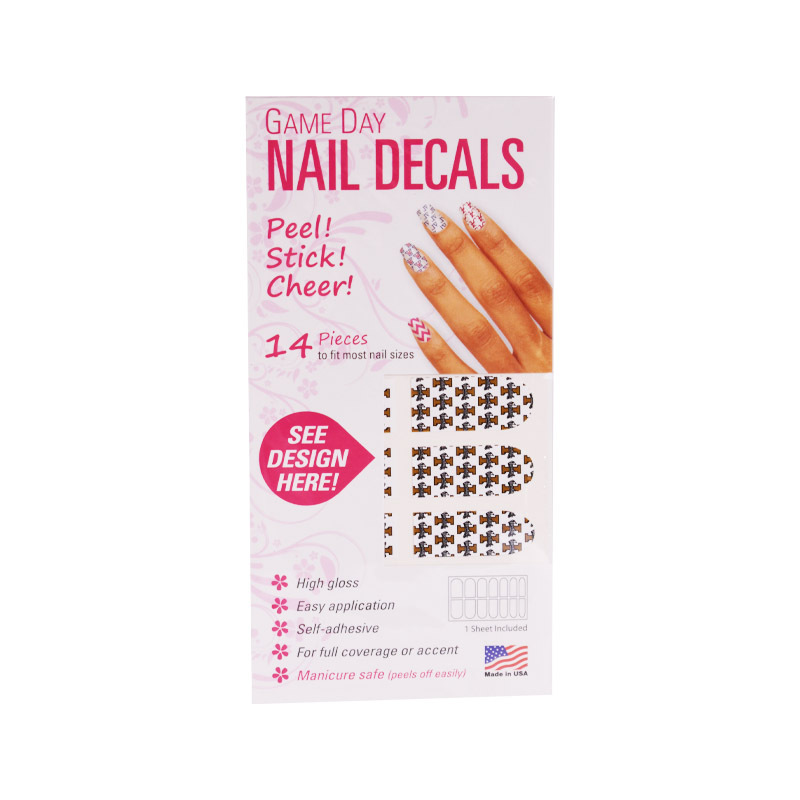 2 sizes, 44 stickers per sheet, 2 sheets per pack. 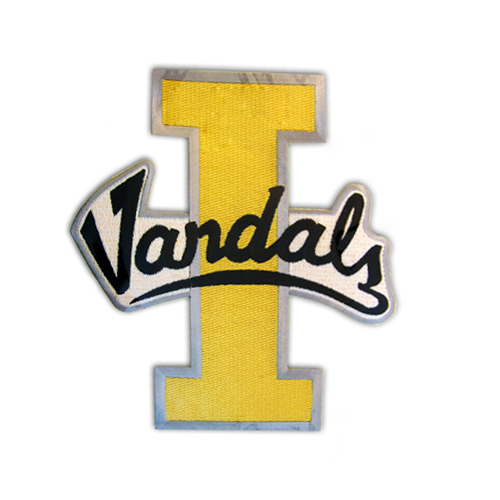 PATCH UNIVERSITY OF IDAHO VANDALS 8"
An 8" sew-on or heat seal embroidered I Vandals emblem. Please specify the design you'd like to recieve when checking out. 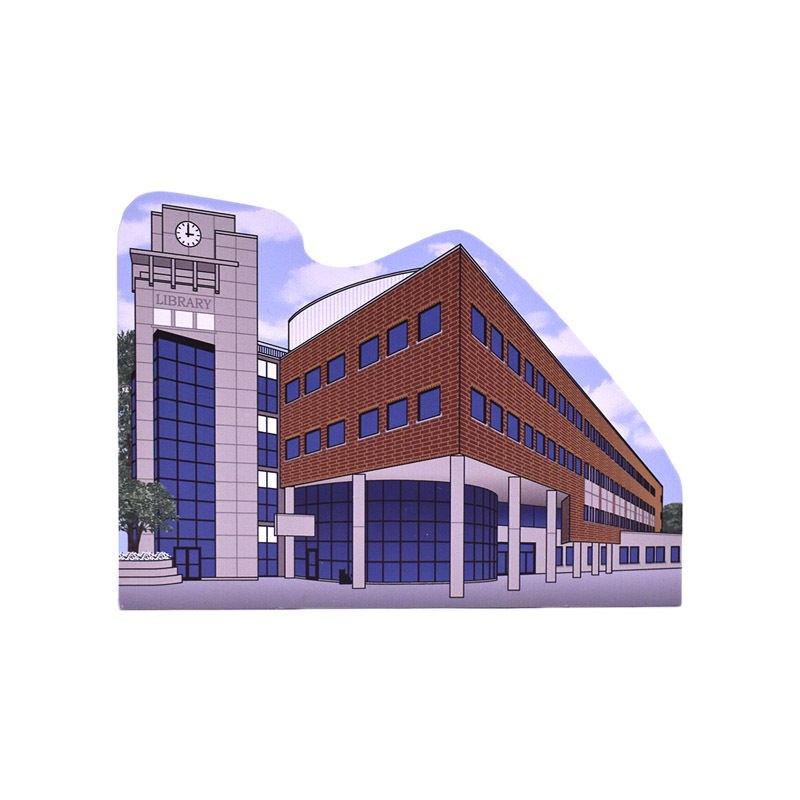 Build your own UoI scene on your mantle or desktop. 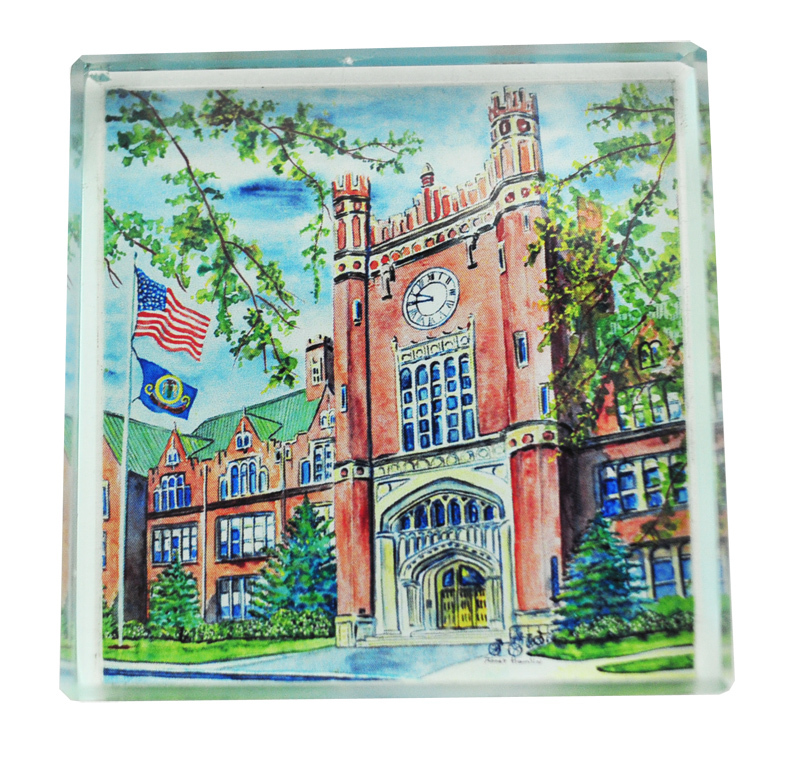 Perfect tasteful decoration for the home or office. 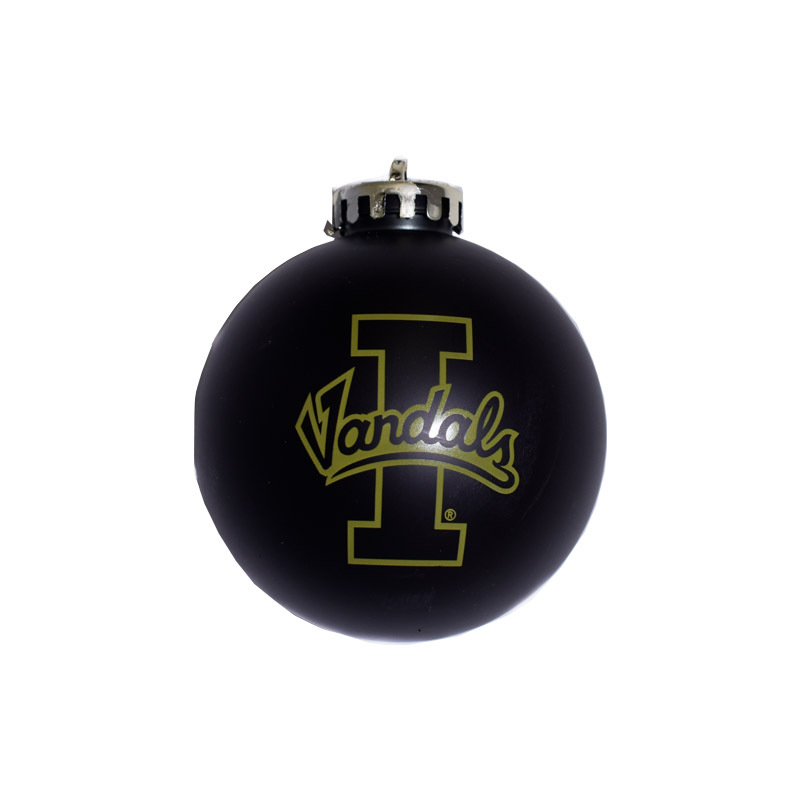 Celebrate Christmas or any other gift giving occasion with Vandal Pride! 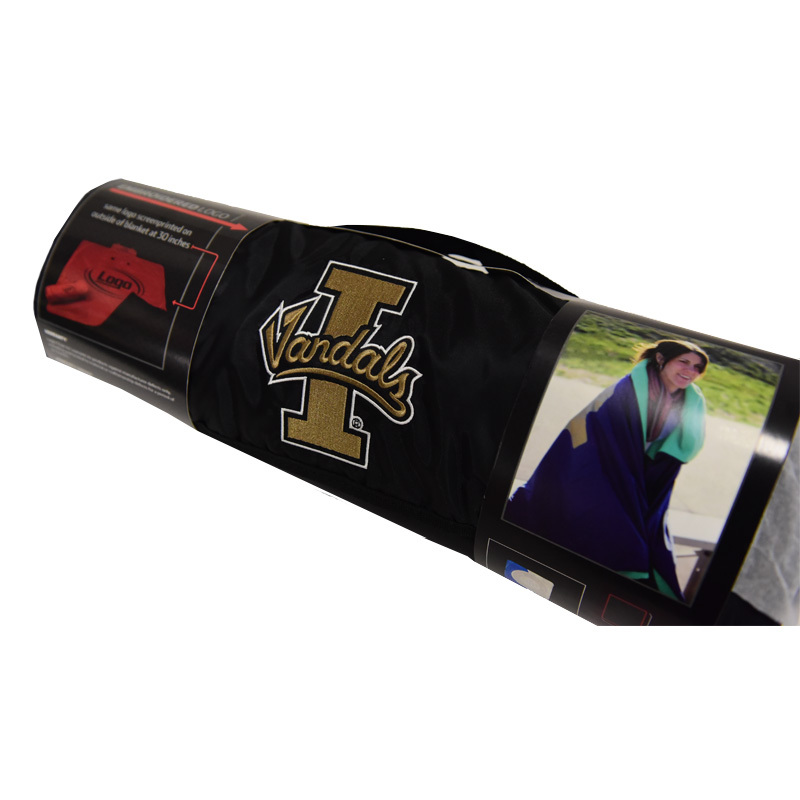 This premium gift wrap is black with a variety of University of Idaho logos and comes in two 20" x 30" sheets, about 8 square feet total. 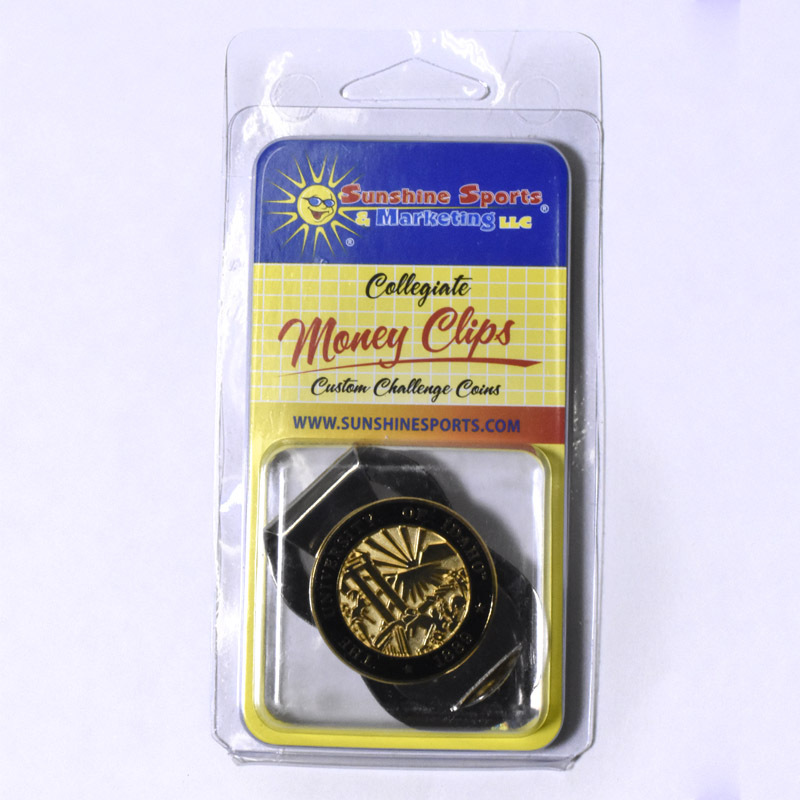 Convenient card holder makes your card easy to swipe, so you can get where you need to be faster! 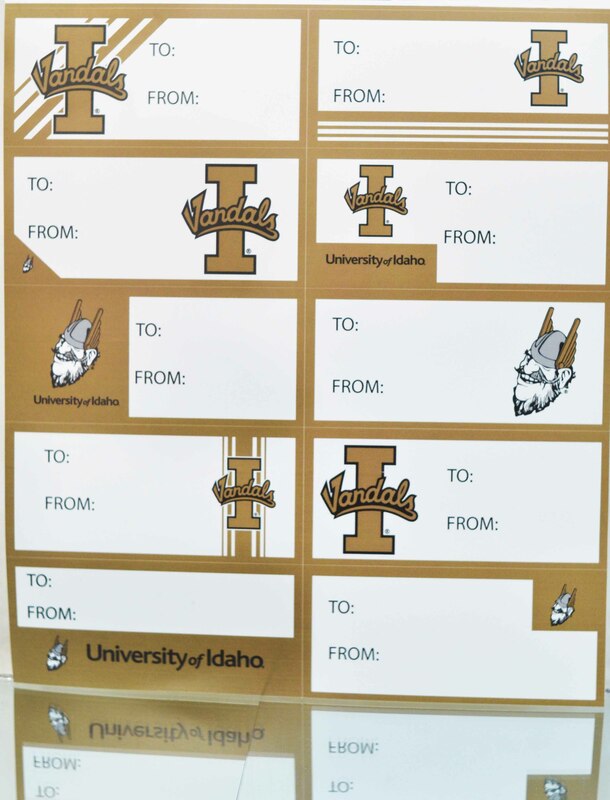 University of Idaho printed on one side. 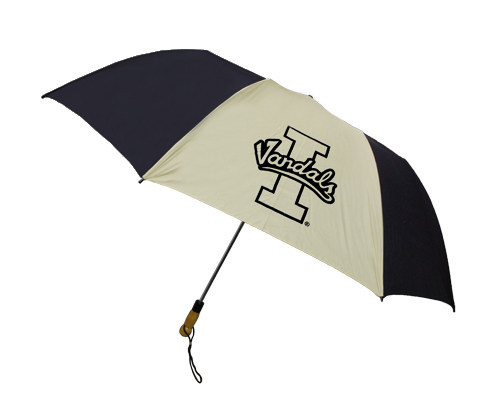 Celebrate Graduation, the holidays, or any gift giving occasion with Vandal Pride! 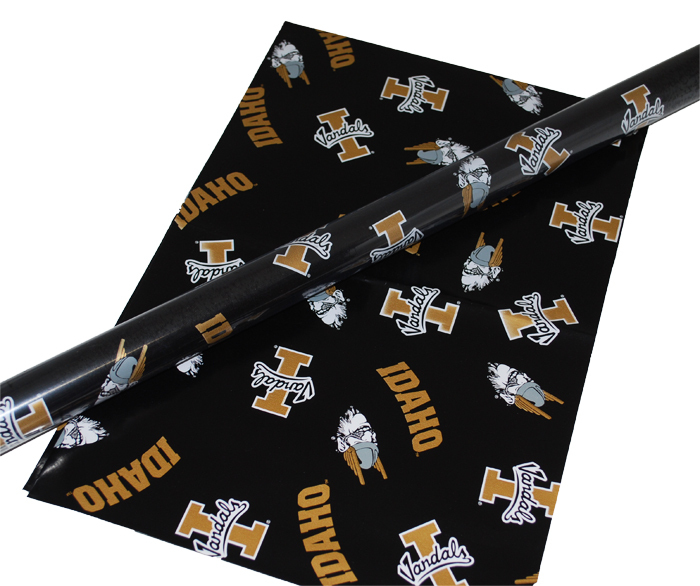 This premium gift wrap is black with a variety of University of Idaho logos. 30" x 6', 15 square feet. 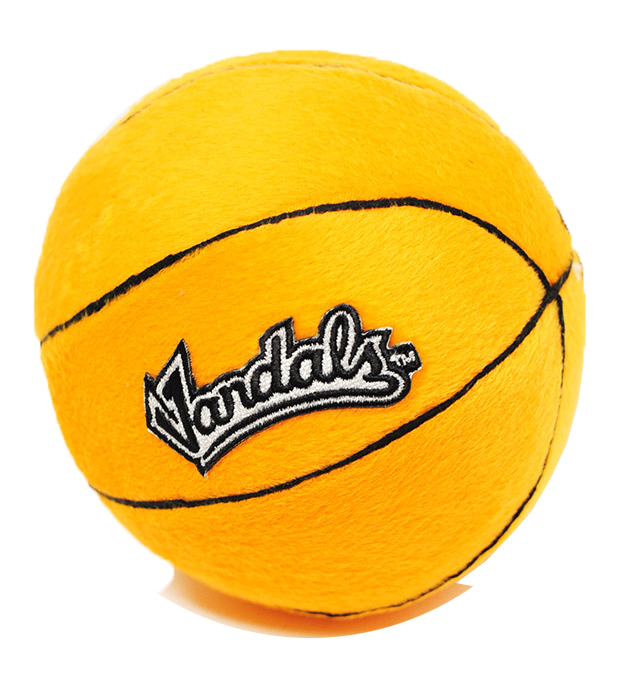 Baden rubber junior sized football with our Idaho Vandals logo printed on the side. 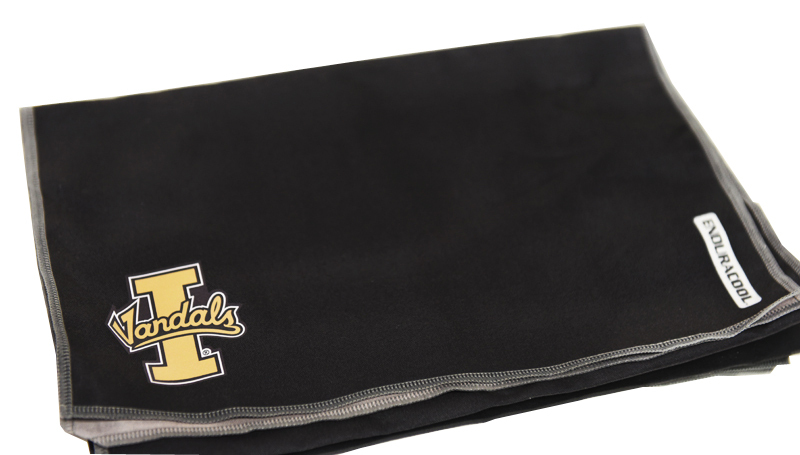 This Lanyard is infused with Vandal Pride. 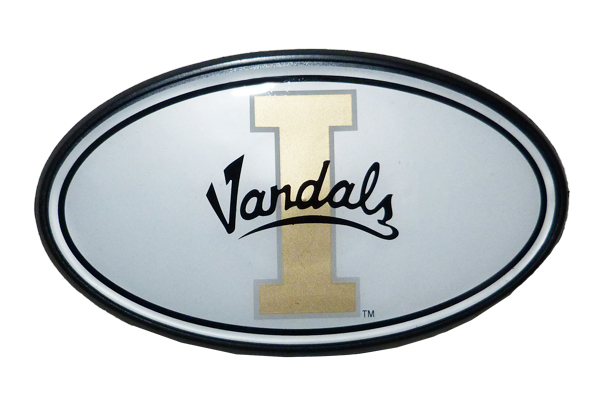 Its so Vandalish that it has Idaho, the I-Vandals logo, and Joe Vandal in a repeating pattern all around it. 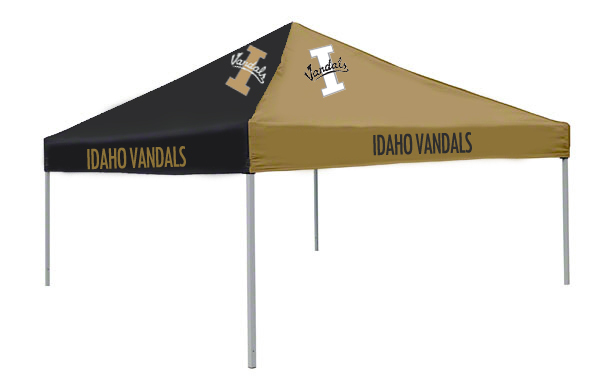 This 9x9 tent is perfect for tailgating party! 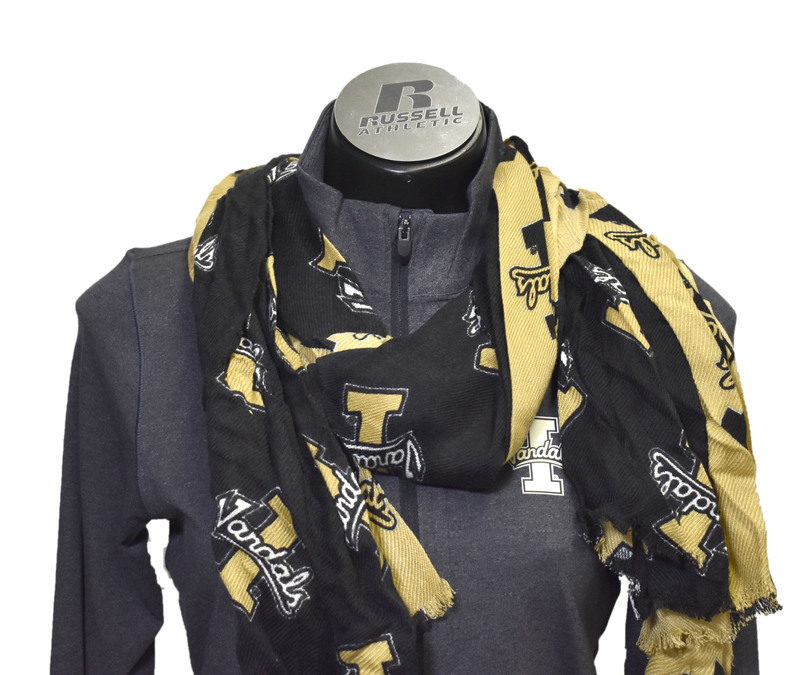 Featuring alternating black and vandal gold on top, this is sure to keep you warm and dry. 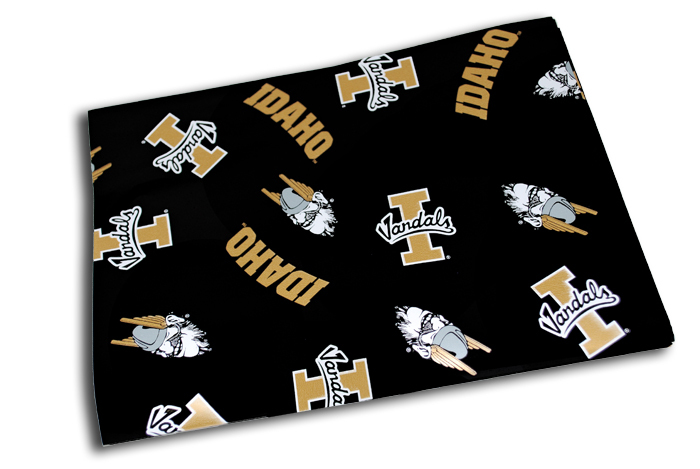 Stay warm and show your Vandal Spirit with this soft and cozy 80" x 62" patchwork tailgate blanket! Perfect for a twin size bed. 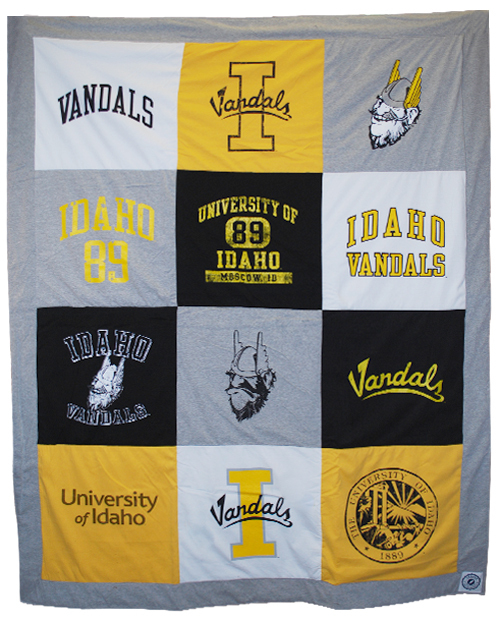 Machine washable, featuring many screenprinted Idaho logos: Joe Vandal, IDAHO, Idaho Vandals logo, University of Idaho Seal, and Idaho Vandals among others. "Palouse Perspective" features 150 of Alison's beautiful color photographs of the hills, barns, rivers and wildflowers of the Palouse region. This 9x12" 144-page hard cover book has a gold foil embossed title on a rich, dark green linen cover with a full color dust jacket. (The image of the book cover above shows the front of the dust jacket.) The book contains a map of the region with a description of where the Palouse is located and what the word "Palouse" means. Short descriptions of the landscape, people, history and barns of the region are included, as well as quotes by other authors about the Palouse, which provide further insight into the charms of the area. Storm Duds 48" diameter sporty automatic folding umbrella with color-coordinated handle and wrist strap. 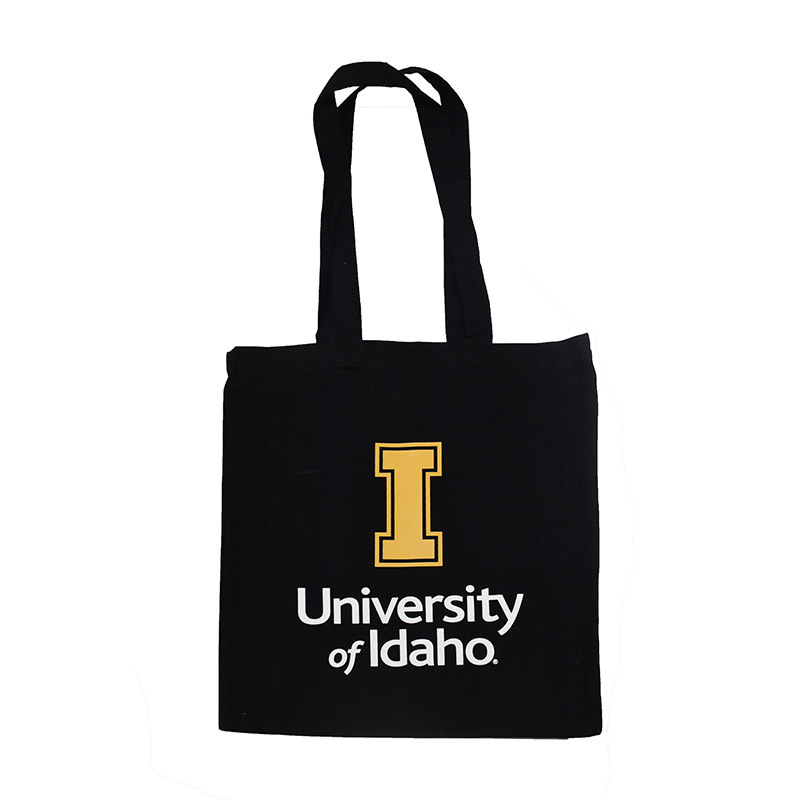 Features eight vibrant alternating black and Vegas Gold nylon rib panels, one of which has our University of Idaho Seal on it. 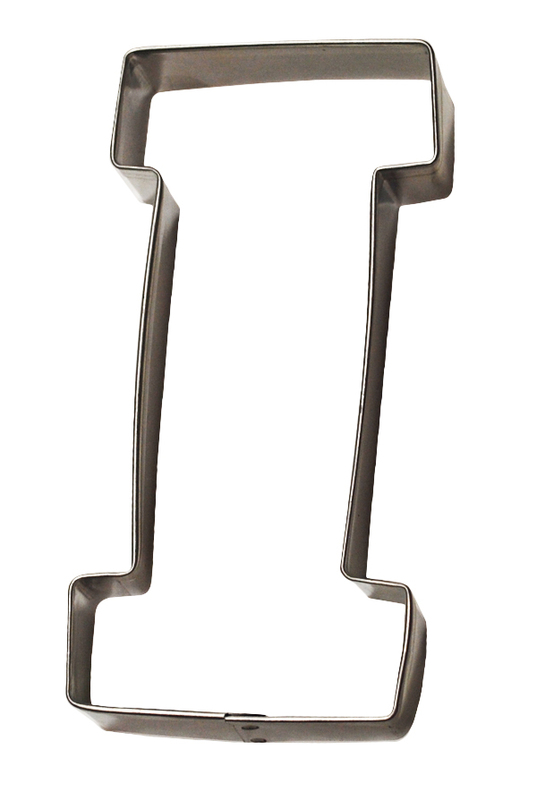 Strong automatic shaft, folds easily to fit into backpack: collapsed size is 18". This umbrella opens at the push of a button - perfect for those rainy or snowy days which we have a lot of in Moscow, Idaho. This deluxe folding umbrella features a windproof automatic shaft and comfortable oak wood handle. 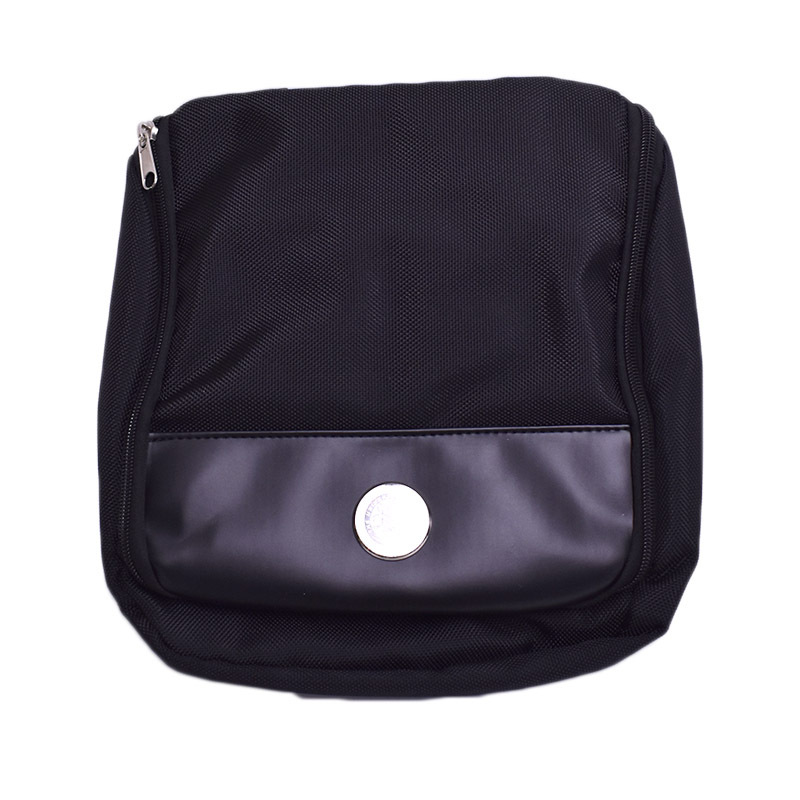 Oversized 58 inch diameter coverage area easily protects two people from the elements. 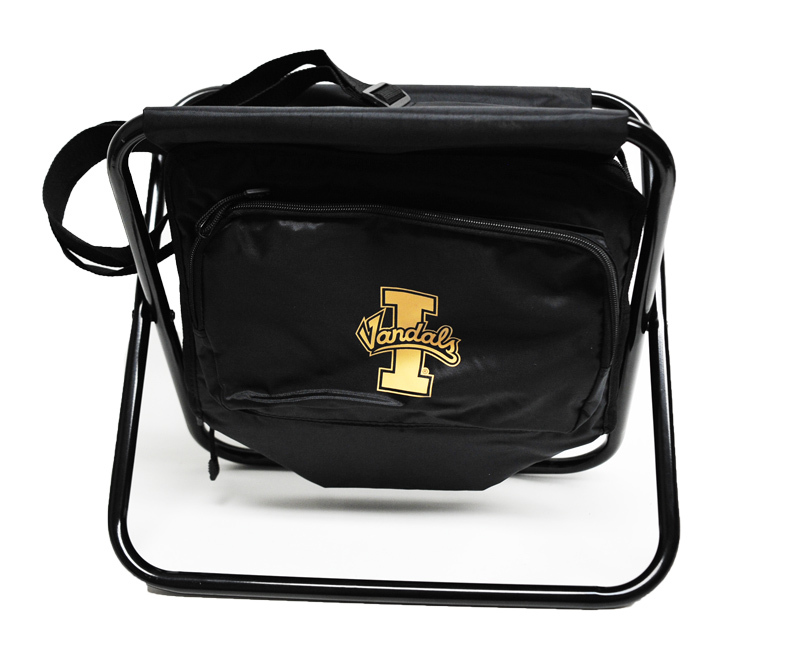 Black and gold with the Idaho Vandals logo. 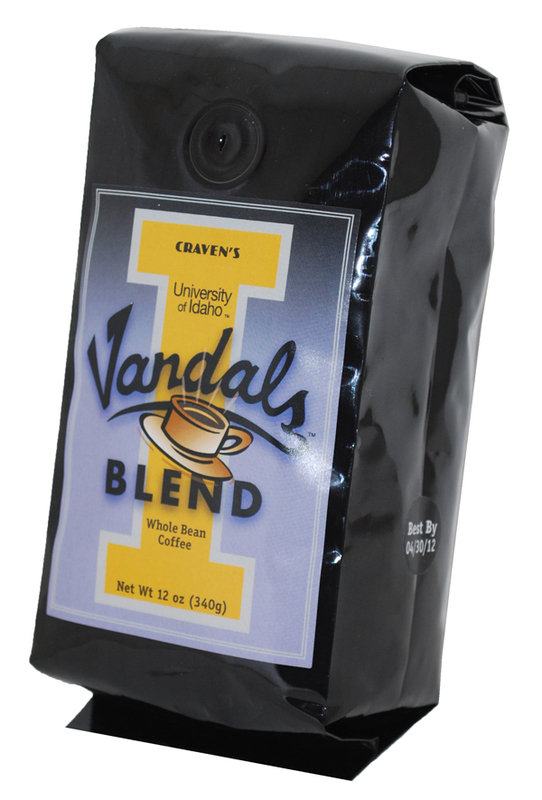 Whole bean Craven's University of Idaho Vandals Blend. 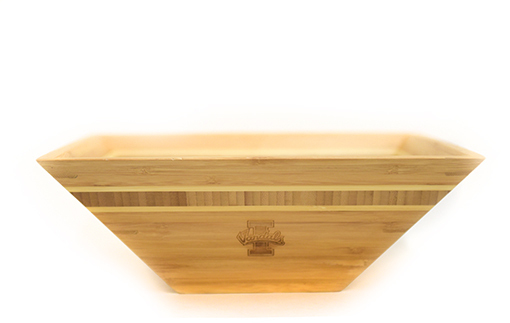 This blend uses the highest quality beans, roasted and blended with patience and discipline. 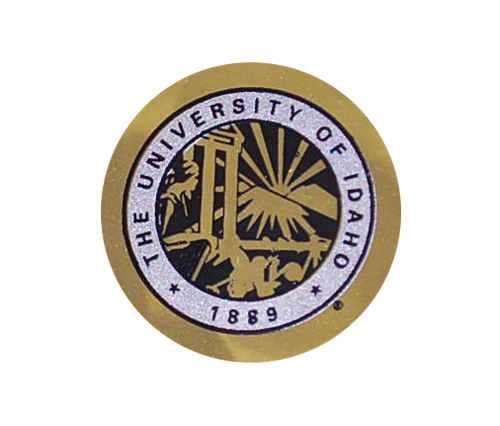 Students, faculty, staff, alumni and friends of the University of Idaho will enjoy this smokey, full-flavored combination of light and dark roasts created especially for Vandals! 12 oz. 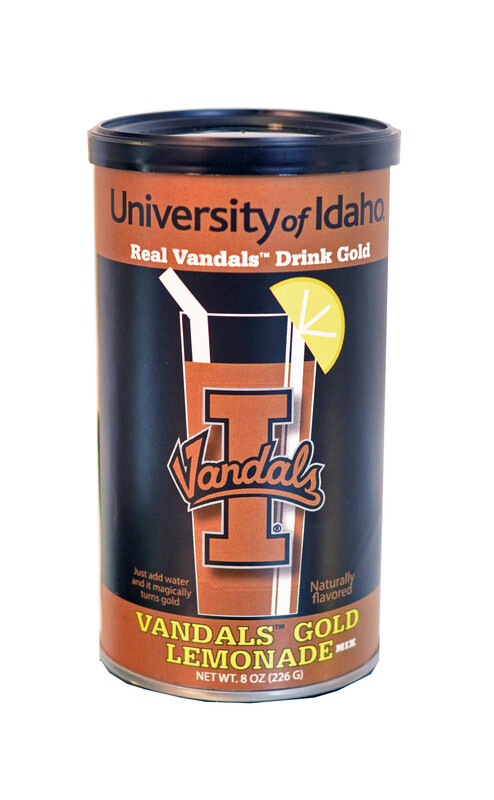 Cool off on hot summer days with Vandal Gold Lemonade! 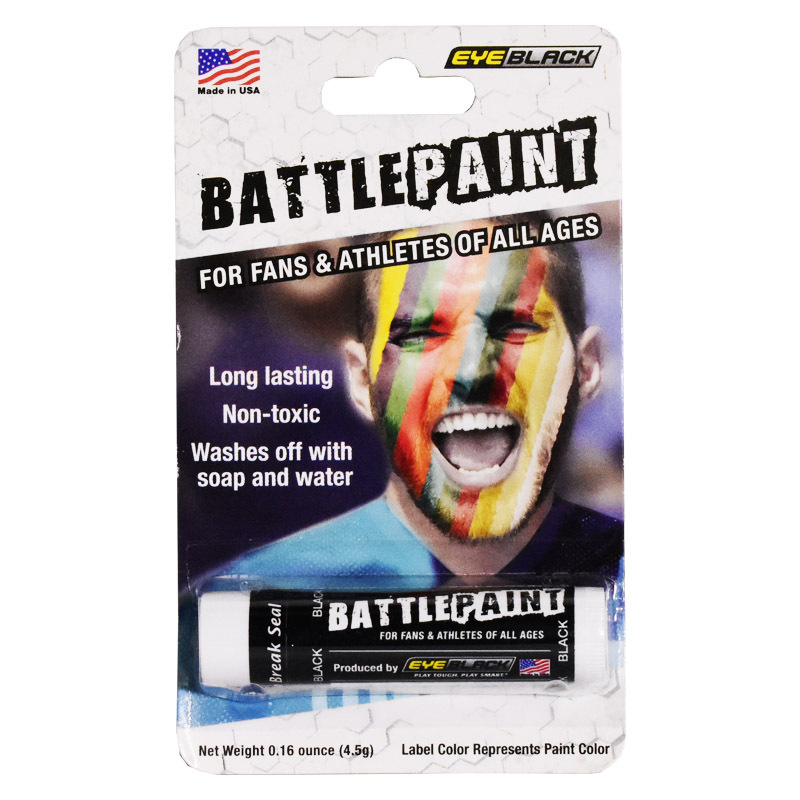 Perfect stocking stuffers too! 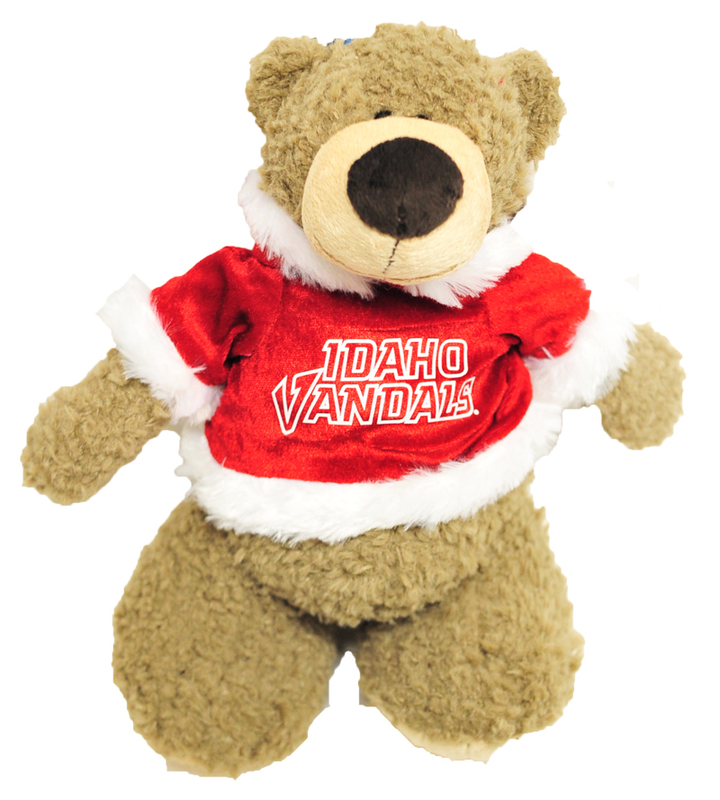 Gather the Vandal Family for a festive game featuring stops on the University of Idaho campus or around Moscow! 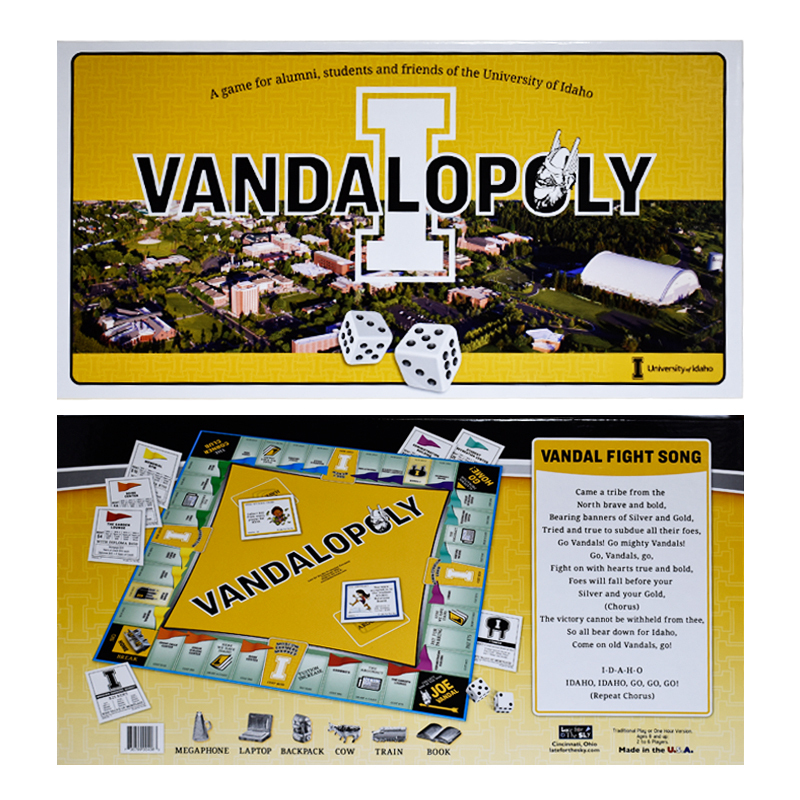 Take a lap around the board as you pass the VandalStore, Hartung Theater, Hello Walk, and more! Brought to you by the Office of Alumni Relations.